Ok, let's be honest here for a second. We all know I'm not a fan of cooking. This is a well documented fact. I mean, I know how to cook - I would just prefer not to. As of this morning, my fridge literally only has water, wine, and pickles in it. LOL True story. That being said, I know how important it is to have certain things always on hand. A properly stocked pantry with versatile essentials that can be used in a pinch, when needed. Pantry essentials that are perfect to throw together a quick, simple meal or treat. I threw the question out on Twitter, and got a lot of feedback from some of my followers on what they always have in stock in their pantries. @AwesomeJennJenn cans of chili. Hot sauces. So, I thought I would share my list of pantry essentials too! Whether it's a simple pasta dinner, a healthy snack, or a nice cup of tea, these are my top 10 pantry essentials that I always have on hand. I don't care what you say - you are never too old to sit and nibble on a spoonful of peanut butter. Just ask my grandmother, who loves this snack! 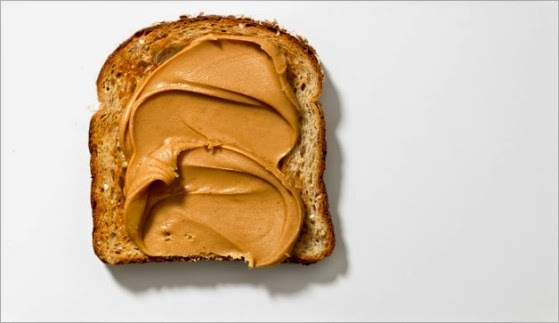 Peanut butter is healthy for you, and full of the "healthy fat", making it a perfect snack. Plus - who doesn't love PB & J sandwiches? Right? Frozen berries are always stocked in my freezer. Always. I tend to have frozen strawberries, blueberries and raspberries on hand. Frozen berries are one of those pantry essentials that are versatile. You can add them to your oatmeal in the morning, you can make smoothies, and really - almost any recipe that calls for fruit can be substituted with frozen fruit. Plus, frozen fruit doesn't spoil as quickly as fresh fruit, and still holds in all the nutrients and antioxidants. What's better than curling up with a good book and pouring yourself a nice hot cup of tea? According to Today.com - tea bolsters your immune system and, get this - has no calories (as long as you don't add sweetener or milk, obvs). My newest addiction is Alokozay Tea, which can be purchased online. No need to trek to the grocery store, because, lazy. If you are the type who enjoys going to the grocery store - Alokozay Tea can actually be purchased at Metro (in the International Foods section), Food Basics and Adonis in Ontario, as well as Bulk Barns across Canada. I recently purchased some Alokozay black tea, green tea and camomile tea online and it got delivered within days, and is absolutely delicious. In fact, I'm sipping a cup of green tea as I type this post, mind you - I would much prefer a hot toddy right now. Like peanut butter, Extra Virgin Olive Oil (EVOO) is full of the healthy fats our bodies need. 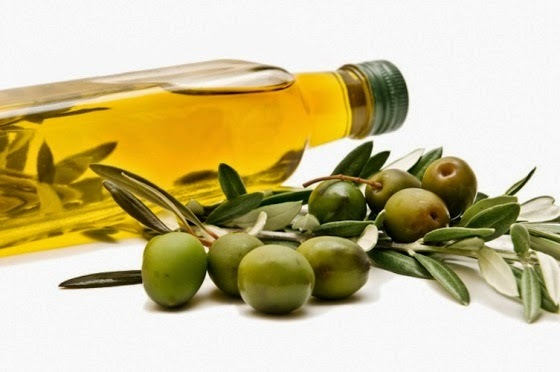 You can add EVOO to many dishes, like pasta and salads. But one of the main reasons I always have it on hand is for a little at home hair mask. Shh! Staples. These are both staples to always have on hand in the pantry. I love garlic, the more the better, in my opinion, and chili flakes are the perfect addiction to so many dishes. I throw them on my pizza (which is delivered far more often that I care to admit), I put it in my ramen and one of my favourite dishes is this Spaghetti Aglio (minus the pickled peppers). As someone who doesn't drink coffee, I always sometimes get hit with that 3pm sluggish feeling. When that hits - I don't reach for a cup o' Joe, obviously. I reach for an energy drink. Recently I tried a new brand, BOMB Energy and it has quickly become my new favourite. Of course, I don't drink them every day, nor do I have multiple in a 24-hour period of time, but when I need that quick energy boost - they're perfect. Edamame is one of those things that I can snack on and before I know it - I have eaten the entire serving. LOL They're delicious, and oh-so-healthy for you! 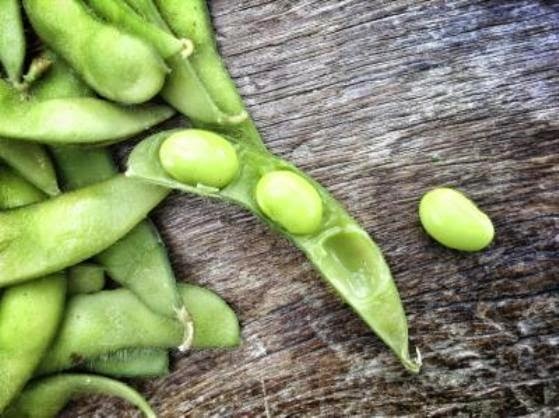 From protecting your heart from the risk of developing heart disease, to offering essential amino acids that the body can't manufacture on its own - edamame is delicious and healthy! You can eat them on their own, add to salads or serve as a side dish. I like to buy the frozen kind, make a bowl and snack on them. Nom, nom, nom! Honey is one of those pantry essentials that is always good to have on hand. When I'm craving something sweet, and don't want to stuff my face with chocolate (peanut m&m's are my weakness), I like to make a cup of green tea and add a dollop of honey. Satisfies my sweet tooth, and it's still healthy! Another benefit to having honey stocked in the pantry id this awesome hair mask! UPDATE: Want to save some money on your next Alokozay Tea purchase? Clip THIS coupon! Disclaimer: This is a sponsored post, but as usual, my views are entirely my own.